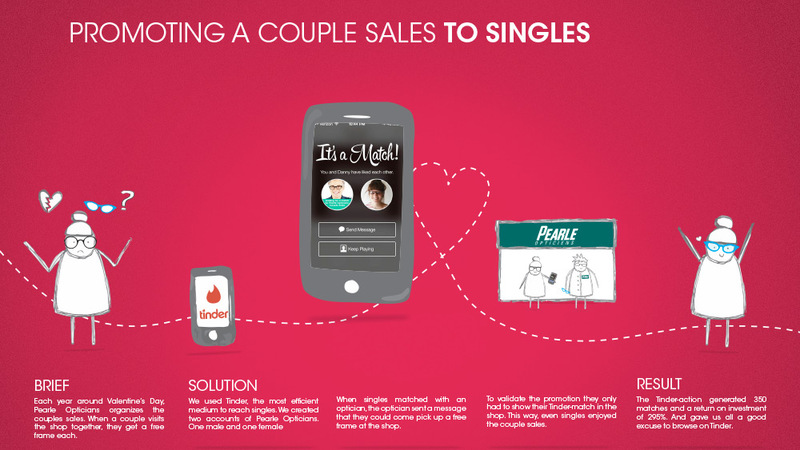 Each year around Valentine’s Day, Pearle Opticians organizes the couples sales. When a couple visits the shop together, they get a free frame each. In previous years some singles faked a relationship to get a free frame. Pearle Opticians decided to do something about it. Namely: help them to fake. 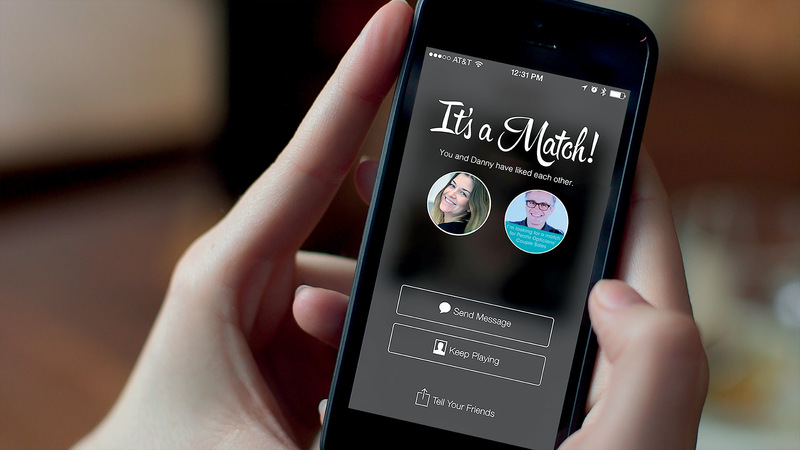 We used Tinder, the most efficient medium to reach singles. 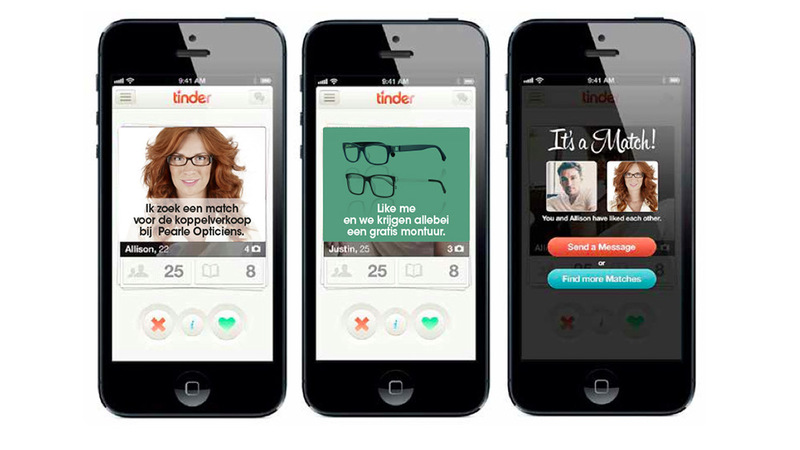 We created two accounts of Pearle Opticians, one male and one female, and started liking other singles. When singles matched with one of the accounts, the optician sent them a message that they could come pick up a free frame at the shop. 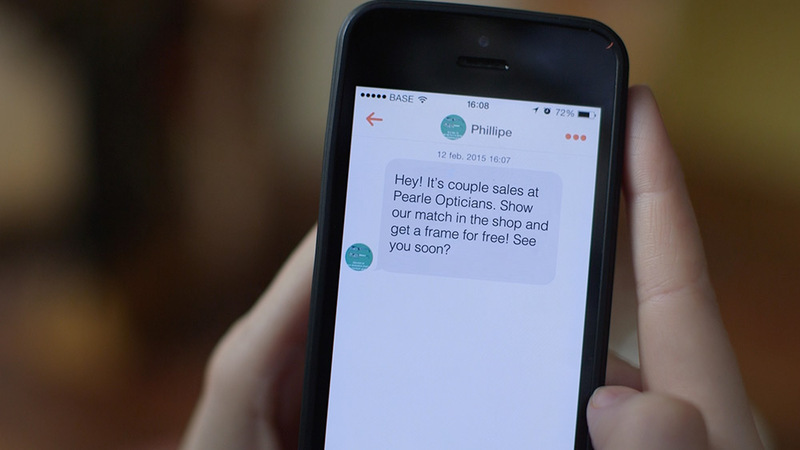 To validate the promotion they only had to show their Tinder-match in the shop. Singles got what they wanted the most for Valentine’s day: a date at Pearle Opticians (not that romantic, but it was very profitable) and a free frame. 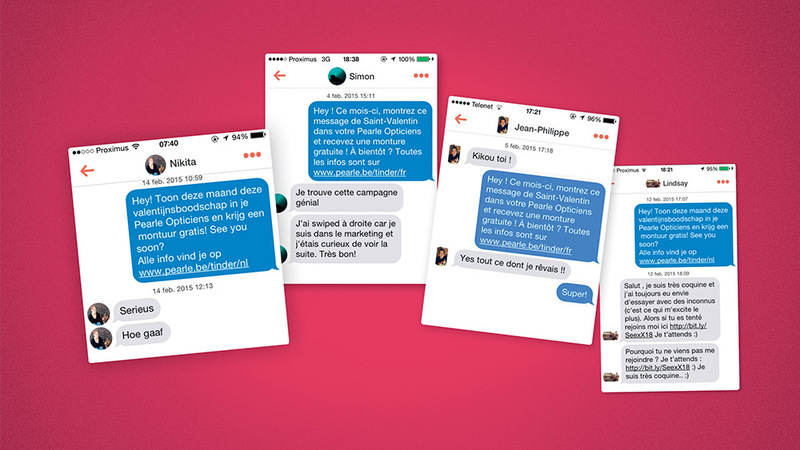 The Tinder-action generated 350 matches and acquired a return on investment of 295%.